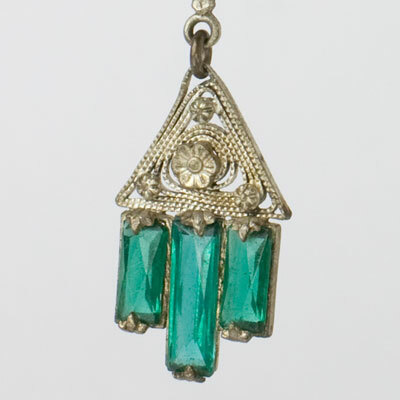 Faceted baguette-shaped emerald-glass stones interspersed with pale-brass-filigree and flowers form these Art Deco pendant earrings that look very Czech to me. 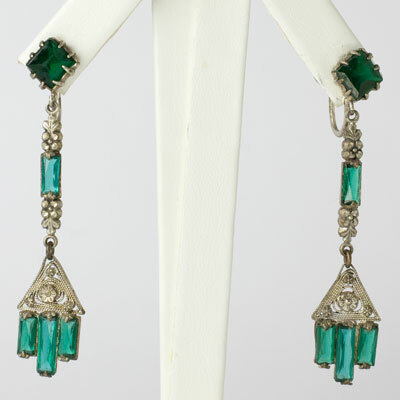 This pair is in all-original condition with screw-backs. The length is superb. 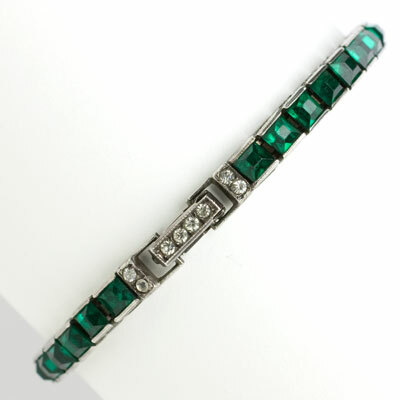 These earrings look lovely with my emerald Art Deco bracelet – scroll down to see it. 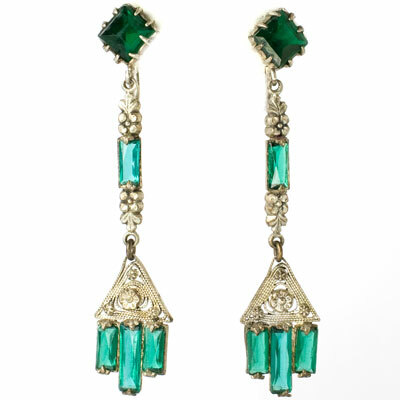 Post-script: A bride bought these earrings and one of my emerald Art Deco bracelets to wear on her wedding day — I still have the bracelet below for sale.